Here are some resources I've used when practicing strategic design from personal to professional projects. I also have other tools that I've created/customized. If you need help strategizing or want to learn how to practice and create these tools, let me know! "This is Service Design Doing" by Marc Stickdorn, Adam Lawrence, Markus Hormess, and Jakob Schneider is a book full of case studies paired with strategic design methods. This book covers design methods ranging from human centered design, business design, UX design, and so on. I'm obsessed with this book. I will always be grateful for the professor in graduate school at Parson's School of Design Strategies who introduced me to this book, "101 Design Methods: A Structured Approach for Driving Innovation in Your Organization," by Vijay Kumar. This book has a wealth of tools that can be applied from ideation, prototyping, to implementation and beyond. I've used this book in the fields of urbanism, policy, civic engagement, entrepreneurship, the arts, and so on. 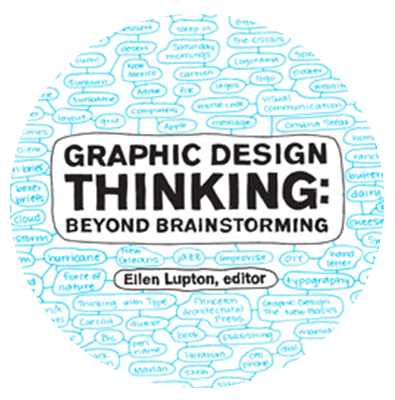 I love Ellen Lupton's "Graphic Design Thinking: Beyond Brainstorming" because it shows the visual and conceptual processes of how an idea evolves into a tangible object. When brainstorming ideas, solving problems, or finding innovative solutions, it's helpful to have creative strategies that help you ask the not-so-obvious questions to get the right answers. The Bullet Journal® method created by Ryder Carroll helped me integrate strategic design and systems thinking so well into my daily life. A dear friend introduced the method to me, and I've been addicted to the method ever since. If you know me well, then you probably have heard me proselytizing the bullet journal method and offering to teach you how to do it. "Design, When Everybody Designs: An Introduction to Design for Social Innovation" by Ezio Manzini illustrates case studies of social-based projects and how design strategy was used to increase their impact on specific target communities. This handbook is a great resource for conducting the entire human-centered design cycle, from ideation to prototyping. 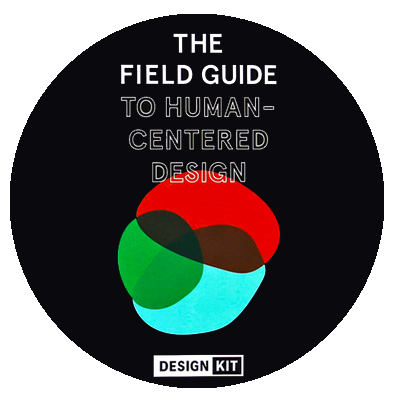 "The Field Guide to Human-Centered Design" by IDEO will always be a useful and quick go-to reference guide for me. I first learned about this book before it became a book. "Emergent Strategy: Shaping Change, Changing Worlds," by adrienne maree brown was first written as a small PDF booklet. I used this book in its earlier form as part of my graduate thesis on cultivating cooperative communities, specifically for small business owners. In this book, brown uses Octavia Butler's sci-fi as a lens to suggest change in the world. Strategic design methods can be applied in every project and aspect of life, in my opinion. However, the practice of entrepreneurship overlaps significantly with that of strategic design. Check out the resources I've compiled for the topic of entrepreneurship; you'll notice that it pairs well with my strategic design toolkit.